Searching for relief from chronic migraines? Look no further. 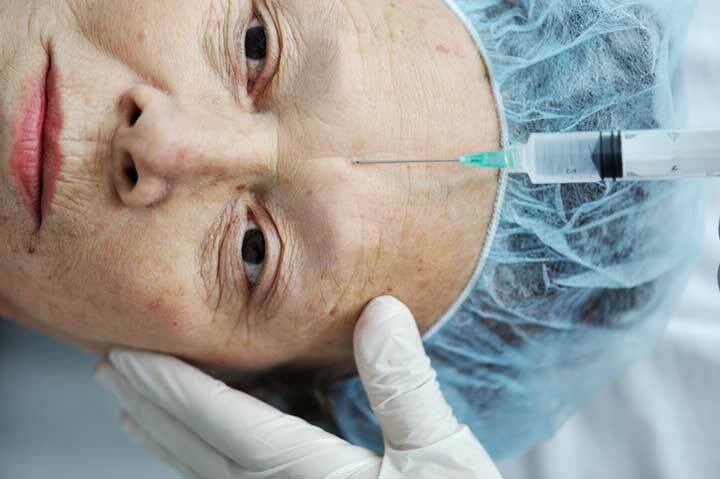 Botox for migraines is proving to be an effective treatment with few side-effects. Those who sign up for Botox for migraines will receive 31 injections in seven specific head and neck muscle areas every 12 weeks. There’s not much worse than suffering from a chronic migraine. The pounding head, nausea, and pain is debilitating. My last migraine persisted for a month. It was so bad I dreamed of ticking off King Henry the VIII so he could have my head chopped off and relieve me of my debilitating symptoms. Since I’d tried everything from triptans (oral, inhaled and injected) to pain medications and acupuncture, all to no avail, I figured it was time to try something new(ish)— Botox for migraines. According to Italian researchers, “Migraine is the most frequent neurological disorder observed in clinical practice.” One of the best ways to treat chronic migraines, they say, is to deal with them early on. See a specialist, reduce the amount of medication you’re taking to combat symptoms, and find a preventative therapy (i.e. Botox for migraines) that works. Dr. Peter McAllister defines a chronic migraine as “15 or more headache days per month, with at least half of those being migraines.” The pain associated with these headaches is often severe and will last for at least four hours. Also known as onabotulinum toxin A, Botox is made from a neurotoxin called botulinum and is produced by the bacteria Clostridium botulinum. Essentially a poison, Botox is the same toxin that causes botulism—a fatal type of food poisoning. It’s most widely known for its ability to rid the face (and other places) of wrinkles. More recently, however, people have become excited by its success in treating migraines. Botox was discovered after those who’d been using it to treat wrinkles noticed a key side-effect—a dramatic decrease in headaches. “Botox has been used in humans for nearly 30 years,” says Dr. Peter McAllister, Medical Director of the New England Institute for Neurology and Headache. In 2010, it was approved by the FDA for chronic migraine prevention. How Many Injections Will I get? Those who sign up for Botox for migraines will receive 31 injections in seven specific head and neck muscle areas every 12 weeks. While the injections don’t feel fantastic (imagine a small burning sensation as the needle is lightly “threaded” under your skin), the pain is minimal and short-lived. The entire process, which should only be conducted by a physician trained in injecting Botox for migraines (i.e. not someone who injects Botox for cosmetic use), should take about 15 minutes. The results, which should be noticeable within seven to 14 days, last for between 10 and 12 weeks. Frontalis: Four spots high above the eyebrows (two on either side) just below the hairline. Temporalis: Eight spots (four on either side) at, above, and below the temple. Cervical Paraspinal Muscle Group: Four spots (two on either side) at and just above where the hairline ends and the neck begins. Trapezius: Six spots (three on either side) along the trapezius muscles on the shoulder. For some patients who suffer from a TMJ disorder, injections may also be used in the jaw muscles. How Many Treatments Will You Need to Notice an Improvement? It usually takes up to two weeks to notice a difference in the quantity and quality of chronic migraines. Once a patient has been doing well for a while (i.e. he or she only has a small number of monthly migraines), McAllister says the doctor will likely try to stop the Botox treatments. “About 50 percent of the time we’re successful,” he says. “And this is usually after several Botox cycles— say 4 to 8 quarterly injection cycles or so.” Others, however, may need to stay on Botox indefinitely to reap long-term migraine reductions. Always seek treatment from a physician trained in Botox for migraines. A local headache specialist or neurologist is best. Find one through your insurance company or visit the American Migraine Foundation’s Website to search their database. Is Botox Safe for Treating Migraines? The side-effects of Botox for migraines are the same as those associated with using Botox as a wrinkle eraser. These include: bruising, localized pain and swelling, headaches (these usually let up after 24 to 48 hours) and eyelid dropping. There’s also a potential for eyelid drooping. If you rub the injected area within 12 to 24 hours following your treatment, for instance, it can move the Botox around, resulting in this condition. Some people may also notice that one eyebrow appears higher than the other. This could be due to having stronger muscles on one side of your face. If you return to your doctor, he can reinject the “higher” side to level things. “Although most people love the cosmetic effect, a small number don’t like the feeling that their face is ‘frozen’,” McAllister says of the injections. While rare, some can have an allergic reaction to Botox with symptoms such as difficulty breathing, swelling in the lower legs, and hives. There is also a very rare possibility that the Botox could spread to other parts of the body. What are the Pros Associated with Botox for Migraines? In addition to ridding you of nasty, chronic migraines, McAllister says, “Botox has no systemic side-effects [and] it has no drug-drug interactions…and it has great long-term safety data.” A recent study published in the Journal of Headache and Pain found that using Botox for migraines every 12 weeks over two years (i.e. nine times) is safe, well tolerated and effective at preventing migraines. According to the American Migraine Foundation, “patients reported that two Botox treatments reduced the number of headache days by approximately 50%.” That said, do not have Botox if you’re pregnant, breastfeeding or suffer from a neurological condition. Another bonus? You don’t have to take a daily pill that could upset your stomach. And, you won’t have to rush to take medication when you “think” you feel a migraine coming on. Instead, head to your doctor once every three months and you’re done. Finally, having Botox for migraines eliminates the risk of acquiring an “overuse headache,” which is caused by taking too much medication too often in an attempt to manage migraine symptoms. Will Botox for Migraines Work for Everyone? As with any medical treatment, there’s no guarantee that Botox will rid you of migraines. While it works as a panacea for some, others either claim they noticed no difference in their headaches or that they experienced side-effects such as drooping eyelids, neck pain or instability and increased headaches. 2. The patient was not suffering from chronic migraines. (i.e. if you have another type of headache (e.g. cluster) or experience headaches for less than 14 days a month, you’re not a great candidate for Botox for migraines). “Botox is approved in those with chronic migraine…It does not seem to work in those with fewer headache days per month,” McAllister says. So, the more frequent and awful your headaches, the better in this case. How Much Does Botox for Migraines Cost? The cost of Botox will depend on a variety of factors including, how much is being injected (usually 155 units are required when using Botox to treat migraines) and how much the doctor charges per unit or per injection area. You could be looking at anywhere from $250 to $6,000 or more per treatment. At Dr. Peter McAllister’s clinic, the New England Institute for Neurology and Headache, each Botox treatment will cost around $1,500 or nearly $6,000 annually. The good news? Insurance companies often cover Botox treatment if a patient suffers from clinically diagnosed chronic migraines and has unsuccessfully tried other preventative treatment methods. allergic reaction, allergic reaction to, bacteria, breastfeeding, chronic migraines, dizziness, dry eyes, food, food poisoning, headaches, hives, migraine, migraine headache, migraine symptoms, migraines, muscle, neck pain, pain, side effects, sinus, sinus headache, skin, tension headaches, tmj disorder, triptans, what causes headaches. I thought you might be interested in this article on https://universityhealthnews.com: Botox for Migraines: Does It Work?